Because of the nature of the attack, machines could already be infected but not yet showing any signs so please do continue to be cautious with emails. 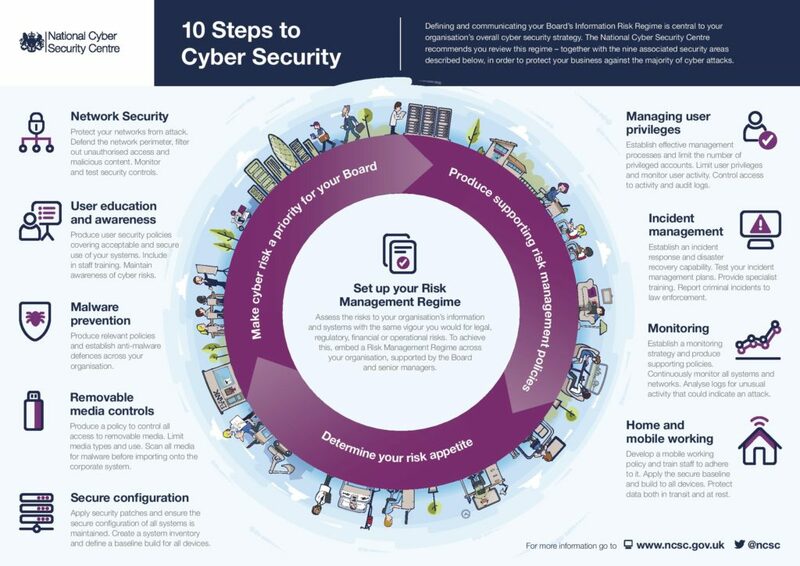 The National Cyber Security Centre have produced this handy guide ’10 Steps to Cyber Security’. Share fraud prevention best practice with your colleagues and have policies in place. If you have any concerns please contact your IT provider immediately.